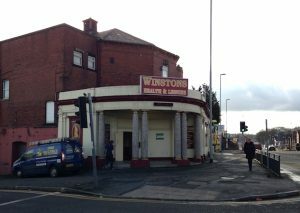 The application for an alcohol licence for the Winston’s Health and Leisure was rejected at a full hearing by the Leeds City Council Licensing sub committee on Tuesday (28 February 2017). South Leeds previously reported on the application here and here. Councillors visited the premises on Dewsbury Road ahead of the hearing and reportedly found the ‘VIP Suites’ were fitted with comfortable double beds and lit with a permanent low red light. The Police maintain that the premises are being run as a “brothel”. At the end of a three hour hearing Councillors voted to reject the licence application. Such a shame you can’t get a drink in there after hours. If Winston’s is a brothel, as we all suspected why hasn’t been closed down? Planning permission to use the premisses as a Church for Christian Worship was refused after long negotiations wit Leeds City Council, presumably as this would no longer have been a venue for recreation having been a cinema and then a bingos hall. Would our Town Planners want this on their door step: I think not! Discussed of Cottingley. Prostitution ruins so many lives and we should be all working stop it.